New Society Captain Nick Stevens lead from the front at The Grove fixture with a remarkable display of precision golf on a day when strong gusty winds made play a true golfing challenge. 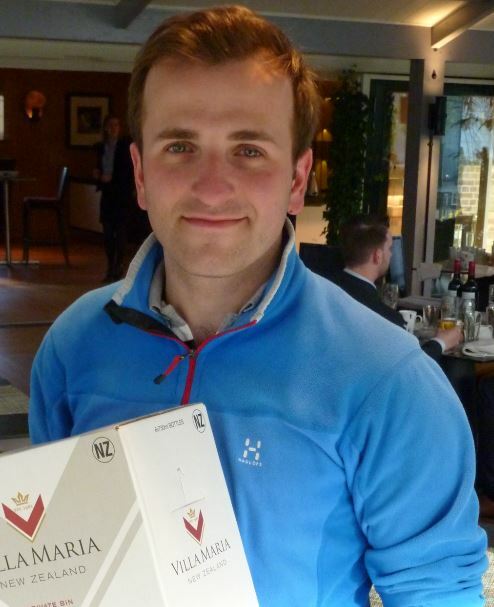 Playing off a handicap of 3, Nick’s 38pts was the highest score out of 44 players and won him The Burton Challenge Cup. That was the good news for Nick…..the bad news was that under Society handicapping rules, he will now play off 2 handicap for the next three Society golf days. While so many struggled with the windy conditions on the challenging course, Nick’s score was 3 points clear of runner-up, Mail on Sunday’s Jonathan Bucks who had his handicap cup one shot to 19. In third place with 31 pts was Metro’s Craig Fawcett, winning on count-back from Metro’s Ben Mason. Fifth place was retired Evening Standard’s Mike Creaby with 29pts who just beat Daily Mail photographer David Crump on count-back. Nick presented all the winners with their prizes, so Society secretary Garth Burden who called out the results, stepped in to present Nick with his winning prize. To enable the Society to start from both the 1st and 10th tees at the same time by having over 40 players attending, members were able to invite guests and this meant there was no long wait for the final group of players to end their game. With such a large number playing, the fund raising “Back the Winner” kitty reached £255 and although eventual winner Nick picked himself out as the possible winner, only three other players invested £5 on him to win, Jayne Burden, Nick Craven and Ian Johnston. They each won £50 with £55 going into the Society funds. There were also only 3 players, all guests, who scored a “2” during the competition with each taking home £20 each with £28 to the funds. 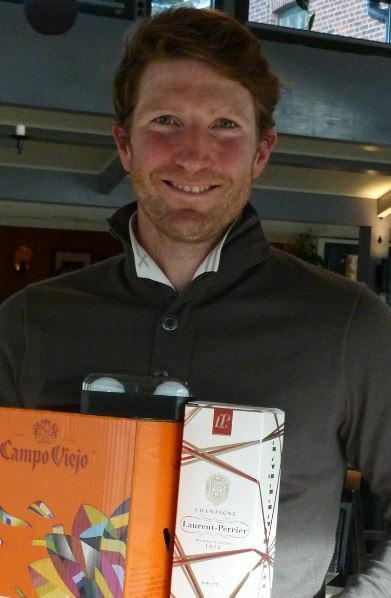 Champagne for Nearest the Pin on the 13th was won by guest Rosemary Rawlinson and on the 4th by Captain Nick Stevens. 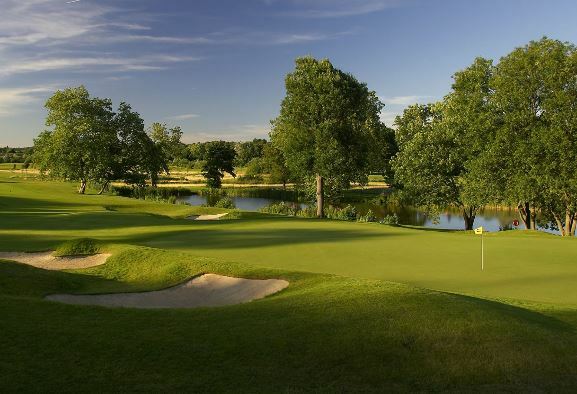 All players were full of praise for the condition of the course, especially the fast and tricky greens, and the way The Grove staff helped to organise the day. It was such a successful day, the Society will be booking the course for the start of next year’s fixtures. 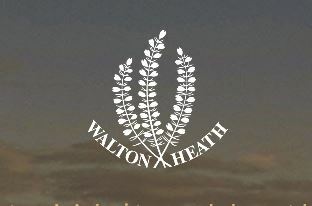 NEXT FIXTURE IS WALTON HEATH – MONDAY – MAY 13 Entry details will be available next month.